If you are a small business that works in the tech support or customer service domain then it is pretty common to assist your customers via remote desktop. Generally, when it comes to business operations, the majority of software requires you to buy bulk business licenses. Even the good old TeamViewer is only available for free for non-commercial use. If you connect it to 6 or 7 different PCs, it blocked for “not playing fair”. That said, if your needs are not that demanding then there are quite a few free remote desktop applications that get the job done with flying colors. To get you started, here are some of the best free remote desktop software for small businesses. Read: Looking for Alternative to TeamViewer? 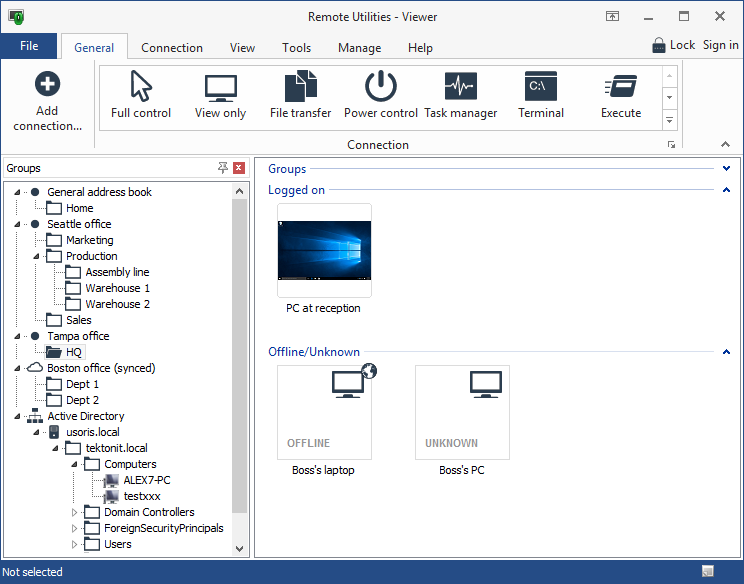 Windows has a built-in remote-control capability that allows you to control any Windows system over the network using the Remote Desktop feature. Like any remote desktop software, Windows Remote Desktop comes in two parts. i.e. the remote desktop server and the remote desktop client. The client is available on all Windows versions like Home, Professional, and Enterprise. However, the remote desktop server is only available in the Pro and Enterprise versions of Windows. The remote control uses the RDP (Remote Desktop Protocol) to connect two systems over the network. 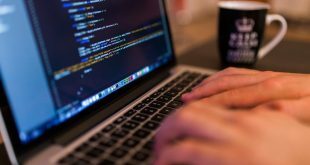 One of the main advantages of RDP is that it is designed to work efficiently on slow connections. By default, the protocol uses RC4 cipher to encrypt the data connection. If needed, you can even switch between 56 and 12-bit ciphers. Features of Windows Remote Desktop include but not limited to efficient bandwidth management, clipboard mapping, print redirection, keyboard hooking, sound redirection, network load balancing, remote file transfer, etc. If you are already using Windows Pro or Enterprise version and don’t mind the lack of advanced features like text or voice chat over the remote connection, then Windows Remote Desktop is pretty good at what it does. Zoho is a free web-based CRM (Customer Relationship Management) that is one of the main competitors for GSuite. Being a CRM, Zoho has several different business ready modules like Mail, Lead Management, Canvas, Analytics, Sales Management, Web forms, Process Management, etc. One of those ready to use modules is the Zoho Assist that allows you to remote control computers via a network. Just like Windows Remote Desktop, Zoho Assist comes in both client and server variants. Zoho Assist has all the basic features you’d expect from any remote desktop software. Of all the features, the one I really like is the Unattended computer access. In case you don’t know, the Unattended access allows you to control a PC over the network without having a person physically sitting on the client side. Other features include clipboard sharing, user management, UAC compatibility, organizational rules, instant chat, etc. Do keep in mind that the free version of Zoho Assist is limited to one concurrent session and one remote technician at any given time. When it comes to small business remote desktop applications, ConnectWise Control is one of the most and feature rich. One of the best things about ConnectWise is that it offers super-fast remote-control connectivity. Of course, the connection is fully encrypted using AES 256-bit encryption and is also Windows UAC (User Access Control) compatible. To get started, just make the client install the compatible client app and then initiate the connection from your server. 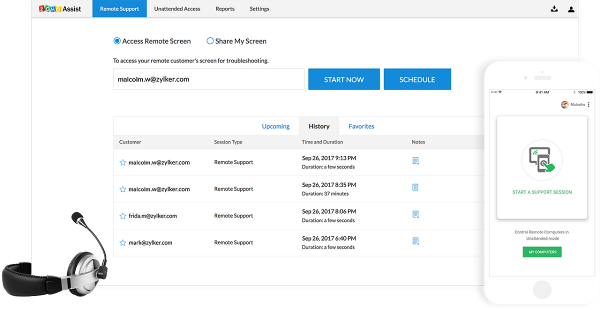 Since the service is mainly aimed towards business customers, ConnectWise Control offers granular user access control. If needed, you can also set individual permissions on per session basis. Other features of ConnectWise Control include unattended access, audit reports, secure session codes, Android and iOS apps, extension support, etc. Keep in mind that free users are limited to one connection, one remote technician and one simultaneous session. For advanced features like support for an increased number of concurrent connections and simultaneous sessions, clipboard support, file transfer, wake-on-LAN, chat support, session triggers, etc., you need to subscribe to one of their paid plans. AeroAdmin is another free and feature-rich small business remote desktop application. 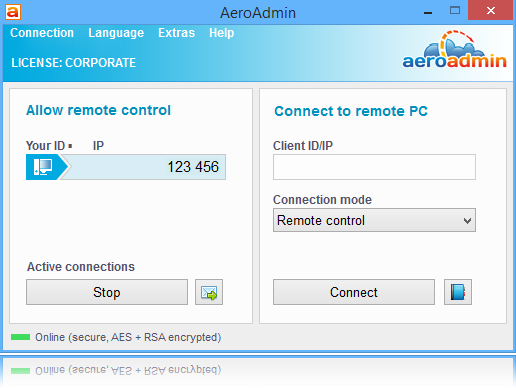 Just like ConnectWise, AeroAdmin is designed to connect to the remote computer as fast and efficiently as possible all the while encrypting the data and connection. Of all the features provided by AeroAdmin, the one I really like is the ability of the client to send an SOS message. Once a client sends it, the SOS message is delivered via email and you can initiate the connection instantly. As you can guess, this feature is quite useful in environments where you need to help the client as soon as possible in the event of need. As a free user, you can connect to computers over different LANs and behind NATs. Additionally, you’ll also get access to other features like unattended access, remote reboot, clipboard sync, support for system keys, etc. That being said, some advanced features like proxy support, file transfer, chat, etc., are only available for paid users. Compared to all the above applications, Remote Utilities offers more features for its users under the free license. 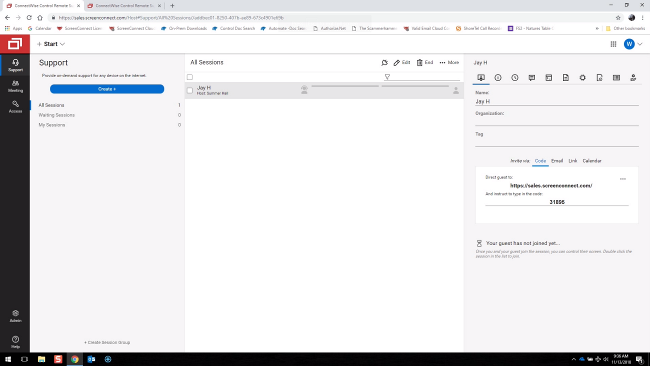 For instance, you have full access to the centralized permission management, multitasking, shared access where multiple technicians can connect to a single system, direct connect, unattended access, drag and drop file transfer, remote printing, screen recording, clipboard sync, etc. Additionally, you can have your own self-hosted server for remote connections and address book synchronization. The only restricted features are premium support, silent installation, and the number of endpoints for each technician. As a free user, each technician is limited to ten endpoints at any given time. All in all, if you are looking for a free service that gives you most of the features for free while being easy to use in professional environments then do give Remote Utilities a try. 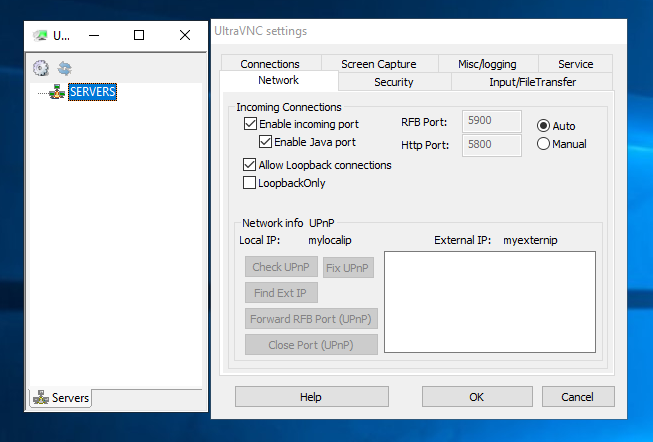 UltraVNC is a free, lightweight, and open source remote desktop application. Now, compared to other applications on this list, UltraVNC is pretty basic and not that easy to use. However, it is pretty lightweight and works fast. As long as you don’t require features like unattended access, clipboard sync or advanced reports, UltraVNC is pretty good at what it does. Of course, it has basic features like file transfer, connection encryption, and a quick chat. 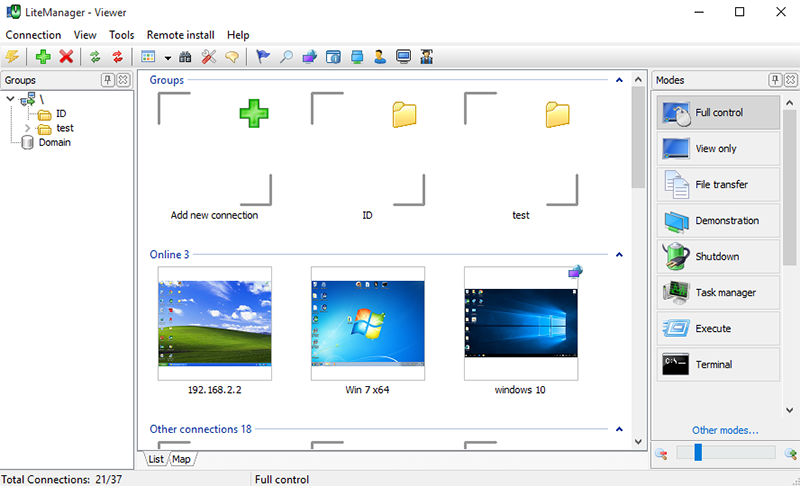 Simply put, if you are looking for a free and open source remote desktop application then UltraVNC is for you. LiteManager is yet another free remote desktop software that is quite comparable to Remote Utilities when it comes to the free feature set. Apart from the regular features like file transfer, drag and drop support, encryption, and clipboard sync, LiteManager also offers remote task manager, IP filtering, sound capture, event logs, remote installation, a quick chat, power management, etc. Additionally, the user interface is also beginner friendly and easy to get started. 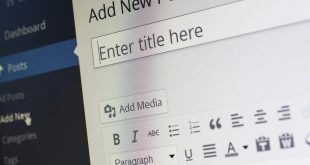 Though the free version limits you from using it on more than 30 computers at any given time, the limit is quite decent for a small business. In fact, 30 computers limit is much more than what Remote Utilities offers. So, if you want to manage more computers while having access to advanced features then I recommend you go with LiteManager. 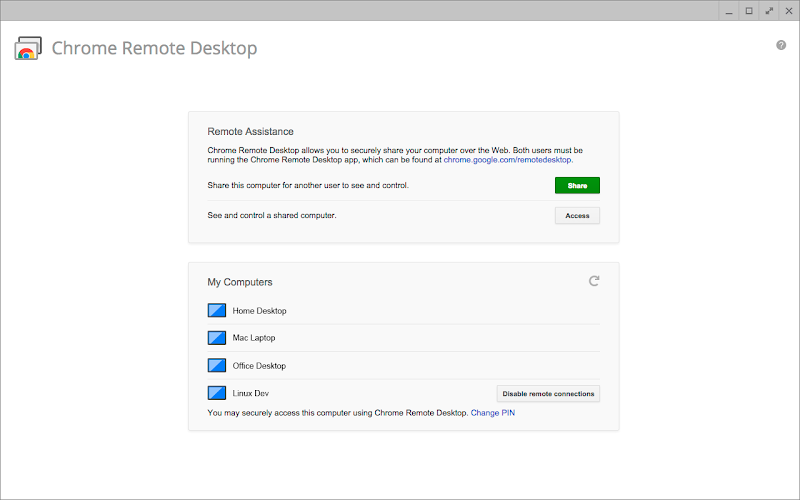 If all you require is a simple remote connection to control the other computer, then Chrome Remote Desktop, by Google, is a pretty good choice. Since all you have to do is install a simple Chrome extension, it works no matter what the operating system is. However, when compared to any other application on this list, Chrome Remote Desktop is very limited. For instance, it only works if the client has Chrome installed in their system. 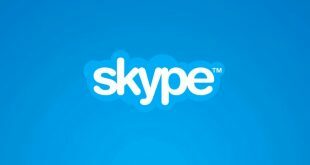 Additionally, there are a lack essential features like file transfer, chat capabilities and you cannot send system keyboard shortcuts. That being said, if all you need is a basic remote connection that allows you to have basic control while looking at the remote screen then Chrome Remote Desktop is the best choice. If you want to manage multiple users at a time, then I’d recommend you go with LiteManager or Remote Utilities. If you are looking for an open source software, then UltraVNC is for you. For advanced reports and remote reboot capability, AeroAdmin and ConnectWise are a good choice. Windows Remote Desktop is useful if you don’t want to install any third-party software. 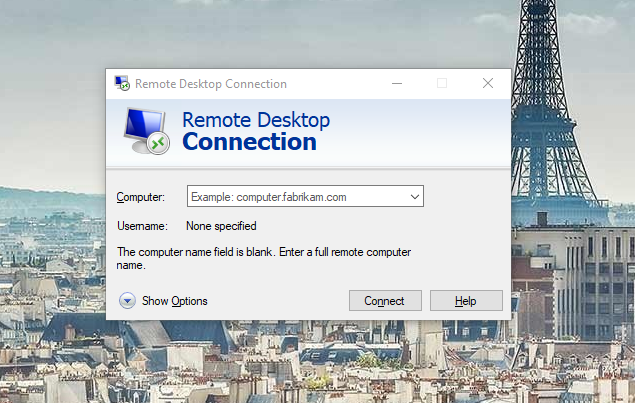 Finally, if all you need is a basic remote connection then Chrome Remote Desktop gets the job done. That is all for now. If you think I missed any of your favorite remote desktop applications for small businesses, then do comment below and share them with me.